Students will be unable to use the computer lab on the first floor of the Fine Arts Building (FAB) until further notice following a theft where four computers were stolen from the room. 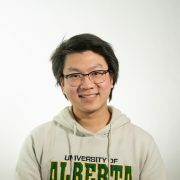 According to security camera footage reviewed by University of Alberta Protective Services (UAPS), the theft occurred on July 2 at around 8:40 a.m. when two suspects entered the computer lab in room 1-7 and stole four Apple iMac computers, keyboards, and accessories. UAPS inspector Mike Bartkus said in an email that it’s unknown if the suspects are students at the U of A. “[It’s] always a possibility, but at this time there is no information to suggest that the suspects were students,” he said. Bartkus said while the door is protected with a swipe card access panel, it was unlocked at the time of the theft, which happened during the building’s public hours from 7 a.m. to 10 p.m. While the suspects took four computers with them, the room is equipped with a total of 28 workstations according to a university website. The computer lab has been closed and the Information Services and Technology service desk couldn’t confirm when the computer lab is expected to reopen. Emily Oickle, a third-year music student and vice-president of the Music Students’ Association (MSA), said the room was equipped with music keyboards, and that the room is frequently used by music students for classwork. Oickle added that the theft adds to the sense that another incident in the building is inevitable. 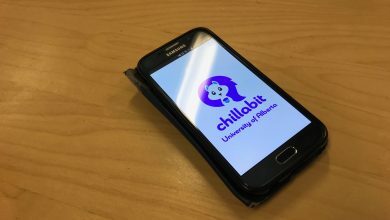 The theft was discovered on July 3 at 12:50 a.m. by university cleaning staff, who reported it to UAPS. 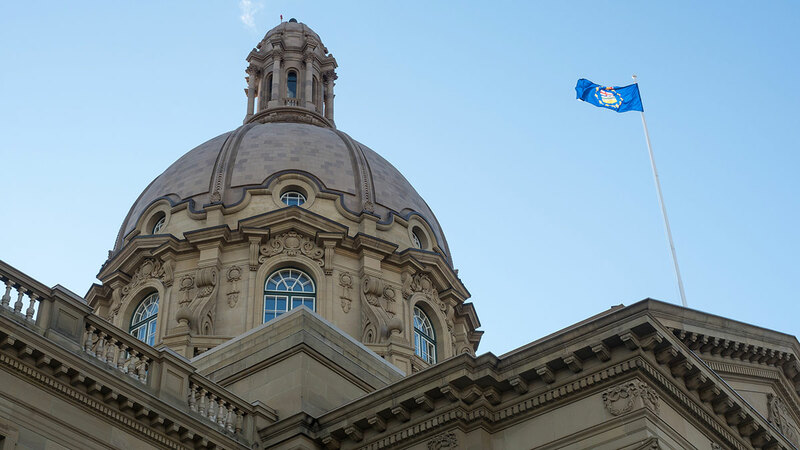 Afterwards, UAPS contacted Edmonton Police Services and provided them with the security camera footage. 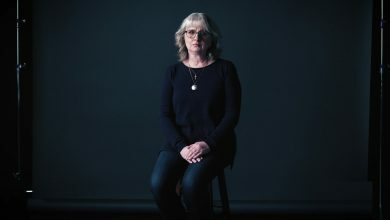 Cheryl Voordenhout, communications advisor for EPS, confirmed that forensic services attended the scene, and that police are still investigating the theft. 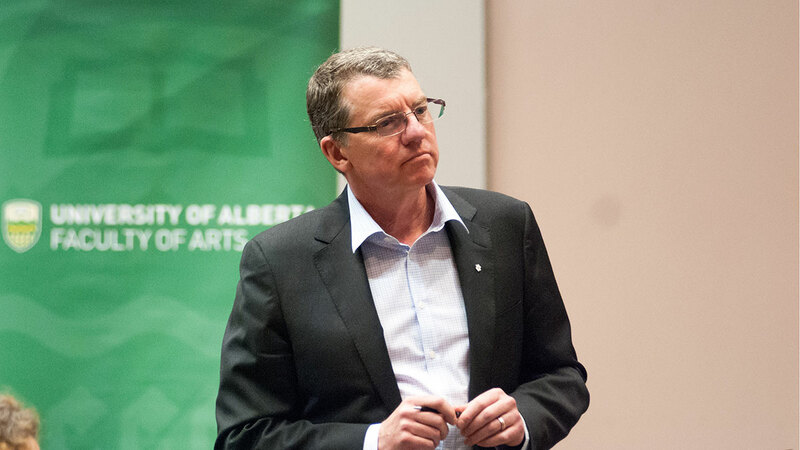 Bartkus said the Faculty of Arts and the U of A IST department were informed of the theft. Morgan Gauthier, the assistant chair of the music department, said the department was also informed about it. However, Oickle said the MSA was not, which is something she’d like to see changed in the future. Security in FAB has been an ongoing issue, with complaints ranging from trespassing to locker break-ins. One incident in March involved a student walking in on two men weighing cocaine in the building’s washrooms. A town hall was organized the following month where students and staff recalled their dangerous experiences in the building. In response, the university installed security cameras and other security measures throughout the building in June. However, the cameras are not actively monitored. 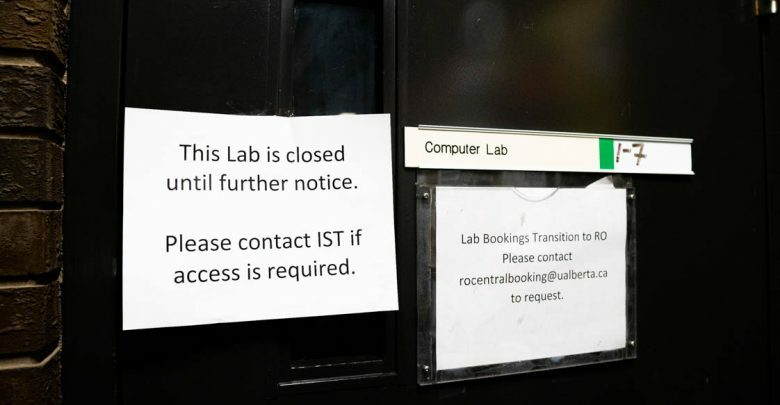 The IST service desk couldn’t confirm when the computer lab is expected to reopen.